With over 40 years of experience, BraunAbility sets the global standard for manufacturing wheelchair accessible vans and mobility lifts. The company has a truly unique history. 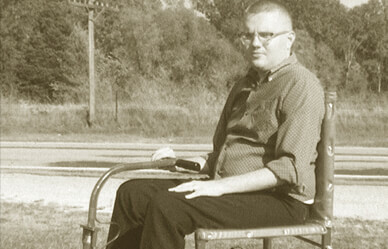 The founder and pioneer of wheelchair vans, Ralph Braun, was a wheelchair user himself. Ralph Braun was diagnosed with spinal muscular atrophy (SMA) and consequently was unable to walk by the age of 15. Ralph found that being pushed in a manual wheelchair, then carried in and out of the car, was tedious for everyone involved. In an effort to regain his independence, Ralph set out to build his own mobility devices. Ralph’s first innovation was the electric scooter called the Tri-Wheeler. He soon realized that he had a set of skills for engineering and technology. Before long, Ralph built a wheelchair lift and steering controls for his vehicle; this was the first time that Ralph could drive by himself. He quickly realized that his perseverance to provide this independence again for himself was needed by so many other people with physical disabilities. Ralph started his company with a handful of employees and subsequently launched the mobility industry. For forty years, Ralph Braun created innovations at BraunAbility that dramatically altered wheelchair users’ livelihoods. Today, BraunAbility has 1,000 employees that are all working hard to keep changing the world of the mobility industry. Ralph Braun passed away in 2013, but his legacy will always live on within his family, clients and loyal employees. 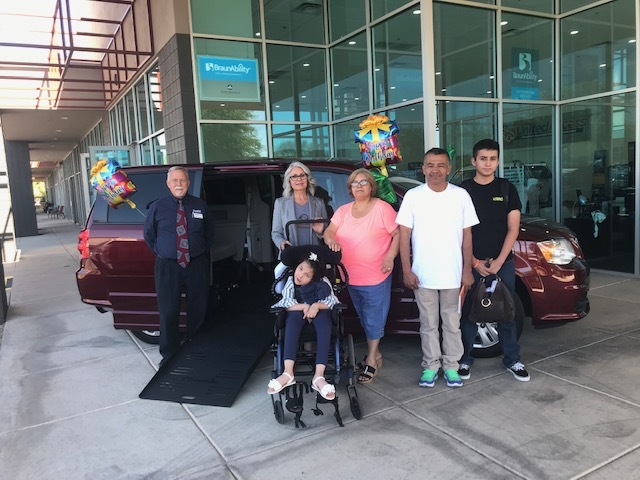 With each year that passes, BraunAbility expands its product lines to provide more options to accommodate people with unique needs – and their families. The side-entry ramp is a popular option that BraunAbility offers on many different minivans, such as the Toyota Sienna and Honda Odyssey. The fit and finish of the conversion on the minivan chassis sets the BraunAbility apart from other manufacturers. The Power Foldout XT is a widely preferred among wheelchair users. The Power Foldout XT offers fourteen inches of dropped floor, a power folding ramp and many other features. The Power In-floor conversion is another great option for wheelchair users who prefer a ramp that slides inside the van floor. The in-floor ramp offers an unobstructed doorway for easy entry and exit of the vehicle. The Rear Entry Manual Ramp is a great option for families or a wheelchair user that has a caregiver. The manual rear entry ramp comes out easily with a manual folding option. The BraunAbility rear entry ramp is a more affordable option so a great fit for families. Additionally, BraunAbility offers a line of wheelchair lifts. The wheelchair lift can be installed on your unconverted vehicle for ease of use and transporting your scooter or wheelchair. Finally, one of the most exciting innovations by BraunAbility is the Ford Explorer MXV – the first ever wheelchair accessible SUV, built on the Ford Explorer. The MXV has the Power Infloor ramp that is lighted for your convenience. There is an optional towing package that can be included on the Ford Explorer MXV. United Access is a proud dealer of BraunAbility’s conversions and products. Come talk to us today about your options!